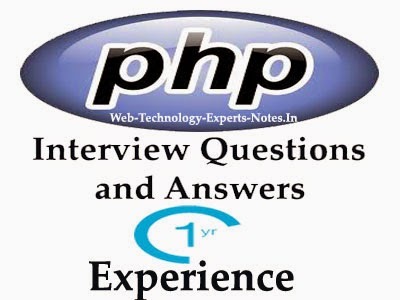 Question: What are the current versions of apache, php, and mysql? 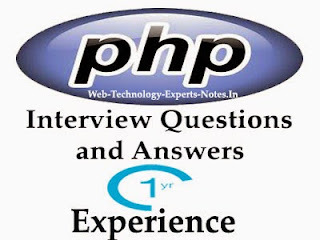 Question: What are the different types of errors in php? Question: What is maximum size of a database in mysql? Question: What is meant by MIME? WWW ability to recognize and handle files of different types is largely dependent on the use of the MIME (Multipurpose Internet Mail Extensions) standard. The standard provides for a system of registration of file types with information about the applications needed to process them. Persistent cookie is a cookie which is permanently stored on user’s computer in a cookie file. They are used for tracking the user information of the users who are browsing from a very long time. They also have the drawbacks of being unsecure, as user can see the cookies which are saved on the computer. Question: How to set persistent Cookie? There is no special way to set persistent cookies. Setting Cookies with an expiration date become persistent cookie. Question: Can we send ajax request to other domain? Answer: No, You can't send Ajax request if different protocal OR different host. For Example, the following table gives an overview of typical outcomes for checks against the URL"http://www.example.com/directory/about-us.html". Question: How can PHP read the hash portion of the URL? Question: What Is difference between array_combine and array_merge? array_combine give an array by combining two arrays($keyArray, $valueArray) and both $keyArray & $valueArray must have same number of elements. $keyArrays become keys of returning Array, $valueArray become values of returning Arrays. array_merge gives an array by merging two array ($array1, $array2) and both can have different number of elements. $array1 and $array2 are added in returning array. Cookie are stored in client side (e.g Browser) where as Session are stored in server side (tmp file of web server). Cookie can be added/update/delete from browser but session can't delete from browser. Session is depended on cookie. For example: When user login in website then session is created in webserver. To communicate the webserver with user, an cookie is created by the application. with use of this cookie-key, Server get to know that user is login OR not. Question: What are encryption functions in PHP? Question: Explain mysql_error(). The mysql_error() message will tell us what was wrong with our mysql query.